openSUSE Forums: Switching ext3 to ext4? 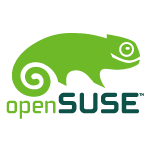 "The openSUSE Project is happy to announce that the openSUSE 11.2 Milestone 7 (M7) is available for download. This release includes GNOME 2.28 beta 2, KDE 4.3.1, RPM 4.7.1, and much more. This is a Milestone Release, one of several that lead up to the 11.2 final release in November. It may not be suitable for production systems, but is ready for contributors who want to help with testing and development for 11.2. This release is of “beta” quality, and would have been labeled a beta in past openSUSE development cycles." "Yes I'm heading over to NUE on Wednesday for just under a week of Geeko fun for the inaugural openSUSE Conference! I'm looking forward to meeting all the old faces from previous events, but also getting to see so many new faces and actually work out if all those IRC nicks are real people or just some wonderful trick by Beineri." "This week there is the openSUSE Conference in Nuremberg. There is a lot of activity planned, and as there will be quite some people there from both the KDE and openSUSE communities, I thought it would be a good idea to use that opportunity to work on a project I always wanted to spend some time on: Creating a KDE Showcase." "This Thursday 16:45 – 17:30 will be a GPG-Keysigning Party and a CaCert Assurance Event at the openSUSE Conference Unconference track in Nürnberg. So even if the deadline for the GPG key submission is already over, it might be a good idea to visit the Event and become a CaCert member (please create your CaCert Account first)!" "I'm just back in from the first day the openSUSE conference. The day started badly when I woke up in a cold sweat dreaming that OpenOffice ate my presentation (again), but it was still there when I resumed my laptop and so I biked the 5km into the Berufsförderungswerk Nuernberg, the technical college where the conference is a guest. ..."
Adrian Schröter: openSUSE Conference 09 has started ! "The openSUSE Conference 09 has started today ! Some first impressions can get found on our gallery server already." "Yes, i’m here in Nürnberg. The Conference is very interesting. Yesterday i’ve given an Talk “Getting to know the openSUSE Weekly News.” After my Talk i had visited Joe Brockmeiers “openSUSE Ambassador Program”, Holger Sickenbergs “Testing of the openSUSE Distribution and Will Stephensons “Future of openSUSE KDE”. This day was an Motivation for me, to be a part of the Testing Team. Through an Emulator i can run the Milestones without installing. I think, that i can do it. I’m writing Bugreports. ..."
"The openSUSE Conference kicked off yesterday in Nuremberg. We had more than 150 people in attendance the first day, with Lenz Grimmer’s keynote on “Working in a virtual community” kicking things off. ..."
"Here are my notes from the software portal talk Pascal and I gave yesterday at the openSUSE conference. The slides we used are also available." "Today at the openSUSE Conference I took the notes of the governance session. We will continue the discussion tomorrow but let me just publish the raw notes as I took them at the meeting without much editing. ..."
"I arrived in Nuernberg on Wednesday night by Air Berlin from Stansted. It was good to bump into two of the usual suspects and travel together. ..."
"Again there were talks in two tracks, together with some "unconference sessions" running alongside. The talks I attended were as follows: ..."
"It has been a year since the first-ever elections where the community voted in a new openSUSE Board. Replacing the bootstrap board selected by Novell, the Community elected, as its representatives, non-Novell employees Pascal Bleser and Bryen Yunashko and Novell employees Federico Mena-Quintero and Henne Vogelsang. In May, due to overwhelming work responsibilities, Federico stepped down and runner-up Stephen Shaw assumed his position. Michael Loeffler was appointed by Novell as Chairperson of the Board." "Just updated our countdown server to 11.2." "Ladies and Gents, we’re glad to announce that SOAD Linux 3.2.1 is out and available for download. This is a bugfix release mostly. Please read the changelog: Changelog"
"Now, we will test YaST and sharing. Another superficial test: How a user can access YaST and setup printers, keyboard and manage new packages? For example, in a company, a workstation user will need share files… and where is this option? YaST is the answer!" See also openSUSE 11.2 Milestone 7 – Testing Desktop Applications. "After lots of test i’m ready to release a new openSUSE-LXDE live CD. Here the change log: ..."
See also LXDE: LXDM and Trash support. "I am happy to announce that the very first working hybrid iso of openSUSE Education Li-f-e DVD created on openSUSE Build Service is now available for testing." Ben Martin gives a short overview of the Build Service and then explains step by step how to build a binary package. If you’re interested in building binary packages, I advise to read his articles." "When you open Nautilus you will see files and folders. Most of those files, when double-clicked, will be opened with the associated application. When you double-click on an image icon, by default, the application Eye of GNOME will open and display that file. But what if you wanted that file to automatically open with The GIMP for image editing? There are a couple of ways to do this." "Flickr is, without doubt, an excellent service for shutterbugs and professional photographers alike, but if you are looking for a more streamlined interface that makes it easier for you to view and manage your precious shots, you might want give Flogr a try." "My kids were watching a fancy fashion-model photography show recently on television. The scene was set on the top of a high-rise building with a cubic-dollar photographer, high-powered flash units, and acrophobic models running around all over the place. The shoot director barked orders from under a little tent and squinted at a big monitor. Interesting. Every time a shot was taken, it magically appeared on the director's monitor. How do they do that?" "Regular expressions (regexps) are a very powerful tool, allowing you to look for text strings matching a particular pattern. In this first part of a two-part series, I'm going to look at using them on the command line. The next part will cover regexps in editors and other programs." "Shell Scripts are very useful but not all that fun to look at. They have simple user input and output text. But, there is a way to spice up your scripts and make them a bit more eye catching with a simple program called "Figlet"." figlet packages for openSUSE are available via 1-Click Install. "In part 1 an examination of creating an ultra simple single port single host port check program was done. Part two of the series the code was broken out between a header file and source file, input validation added, a usage message defined and a Makefile was setup for simple recompiling. The most recent installment added a timed host pre-check component to ensure that a connect() would not potentially "sit and spin" when a host is not available." "This article is intended to all programing enthusiasts on all levels who do wish to understand pointers in C++ language. All code presented here is not a compiler specific and all examples will be written in plain ANSI C++. Debate about pointers can stretch for miles, and you would need to go really far to master it all. If you really want to run that far, this article gives you a clear understanding of fundamental concepts about pointers and prepares you for that journey. ..."
"Last week I talked about using cut and paste within Screen. You can also use screen for several other useful tricks as well." "There are default mailbox sizes which may lead to mail delivery failure when you go beyond the defaults. In order to avoid problems you need to understand the difference between mailboxes and virtual_mailboxes as well as know the default sizes and how to adjust them." "Here's how you can enable Designer in PHPMyAdmin and save the DB design in PDF format. Checkout the tool and its ability to create relation between tables using a click and drag environment." "Now that 11.2 gets closer and closer to the rc status being able to play mp3 becomes important in order to make the testing experience even nicer. Here is my workaround to get that mp3 working in amarok. I do not know about the dvd’s as the only one that I own is to boring to use it for testing purposes. ..."
"Well, it was a long time ago, when I played my last real game (and a real game is for me not a virtual card game or so). Hive Rise is a bit like C&C, but you'll enjoy playing it." "I run mlmmj (mailinglist management made joyful) for my mailing lists. The problem was, that I didn’t have any mailinglist webarchives for a long time. I had to change this so I started on Friday to changes this. It took me the whole day to write the scripts. mlmmj-webarchiver has been written by Sven Michels using hypermail. As hypermail is more or less a dead project I decided to use mhonarc. So I started to rewrite the script and use the theme the roundcube project created." "In case you need to build some binaries for some kind of DOS based bootstrap process, don't look far, the repository home:fstrba:msdos has all you need. A gcc-4.3.4 based cross-compiler for C and C++ along with the CVS HEAD version of DJGPP headers and libraries. The resulting executables running under DOS need a DPMI implementation like this one in the same directory to run." "This week Novell released MonoTouch, the industry’s first solution for building iPhone and iPod applications using .NET and C#. MonoTouch is important because it allows developers, for the first time, to use higher level programming languages like C# and the .NET framework to write enterprise applications for the Apple iPhone and iPod Touch. By enabling a whole new segment of developers to more productively develop applications for these mobile devices, MonoTouch is expanding the availability of iPhone and iPod applications." "Creating a new (book) layout is both challenging and fun. On the one side you have to observe different parameters like legibility, simplicity, and aesthetic. On the other side, you can play with fonts, margins, styles and all the other great things in typography and design! :-)"
"I have a feeling this is question we will see quite a bit of in the months ahead. For me there will only be one choice - format! It's just easier and cleaner to backup and start fresh that way." 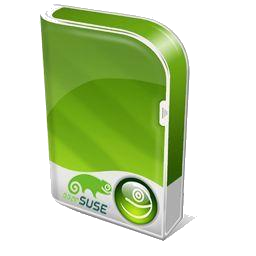 "Some of our lead players for development and testing in openSUSE have a discussion here. You get a glimpse of what goes on behind the scenes. Maybe you'll be tempted to get involved!" "Linux is renowned for it's rock solid security record but of course it's possible for that to be compromised. And it's threads like this that leave you thinking: 'Yes, I can see how that could happen'." "Here's one of those weird and wonderful examples of Linuxness. (I made that word up). Personally, I don't ever waste my time with any site that makes life difficult, but where there is a will there is a way." "The Gnome 2.28.0 Desktop Environment will be released at the end of this month, in the meantime you can play a bit with the release candidate." "Last December we took the difficult but correct decision to cancel Novell’s premier user and technical training conference – BrainShare. While most of our customers, partners and employees understood and supported the decision, there was a clear demand and passion for the event to return in 2010." "The first netbook preinstalled with Moblin v2 for Netbooks will likely launch next week, possibly at Intel's Developer Forum (IDF) in San Francisco. Following that, the Moblin Project will release the first milestone release of the Moblin v2 Linux distribution, which began beta testing in May." Ohio Linux Fest - September 25-27 - Back to the Future of Linux! "Don't miss your last chance to register for Ohio Linux Fest! A mere two weeks away on September 25-27, it's coming faster than a Free Software freight train! Registration has been lighter than past years please forward this release to friends in the Ohio and surrounding areas. Columbus, Ohio The seventh annual Ohio LinuxFest will be on September 25-26, 2009 at the Greater Columbus Convention Center, in downtown Columbus, Ohio." "BOSTON, September 15, 2009--The Free Software Foundation (FSF) and the GNU Project today announced the request for nominations for the 12th annual Free Software Awards." "The GNOME Foundation, which coordinates development of the GNOME platform, has announced the release of its first quarterly report. The Q2 2009 Quarterly report spans June, July and August and covers several topics, including the projects migration to the Git version control systems (VCS)." "While metadata performance is important, another critical metric for measuring file systems is throughput. We put three Linux file systems their paces with IOzone." "Less than a week after Linux kernel 2.6.31 was released, the kernel developers are beginning to submit changes and improvements across virtualization, power management, file systems and device driver code for the upcoming 2.6.32 version." "Google is unlocking its data door by launching a new initiative called Data Liberation, an approach to engineering that allows users to move their data - be it pictures, mail or documents - from Google’s servers to any other location." "Imad Sousou, who is in charge of the Moblin mobile Linux project, told ZDNet UK on Wednesday that Intel did not view Moblin as a competitor to other versions of Linux. The company will work with Google in the same way it is working with other Linux distributors such as Novell and Canonical, he said." "Today Nokia employee Thomas Zander announced in his blog that Nokia will be using KOffice as a base for the office file viewer in Maemo 5. He also sent an email to the KOffice mailing list giving some more details about how this came to be." "FOSS adherents are happy to discuss all the reasons that open source is attractive to users and to other developers, from "it's free!" to "the philosophy of open source." Sometimes, they talk about the reasons that people avoid open source, such as "I want a phone number for tech support." But the hard fact is that sometimes people try an open source application — such as yours — and they end up not using it. I realize this is hard to imagine. But it happens, and not merely because the users have evil in their hearts." "A group of SUSE Linux users put plans in motion last week to create a free, community-managed server distribution that maintains compatibility with Novell's enterprise offerings, but guarantees the long-term-support not provided by openSUSE. The result, said organizers, would be similar to the relationship between CentOS and Red Hat Enterprise Linux (RHEL), and would ultimately be beneficial to Novell. There are numerous practical difficulties to be overcome in the creation of this distribution, though, and the form that this distribution might take is not yet clear." "A security researcher has discovered a cluster of infected Linux servers that have been corralled into a special ops botnet of sorts and used to distribute malware to unwitting people browsing the web." September 25-27, 2009: Ohio Linux Festival - Back to the Future of Linux! Numbers in brackets show the changes compared to the week before last. lists.opensuse.org has 37271 (+112) non-unique subscribers to all mailing lists. The openSUSE Forums have 34277 (+599) registered users - Most users ever online was 3270, 22-Jul-2009 at 20:00. 3510 (+66) of 9292 (+222) registered contributors in the User Directory have signed the Guiding Principles. The board has acknowledged 351 (+0) members. This page was last modified on 2 October 2010, at 10:54.